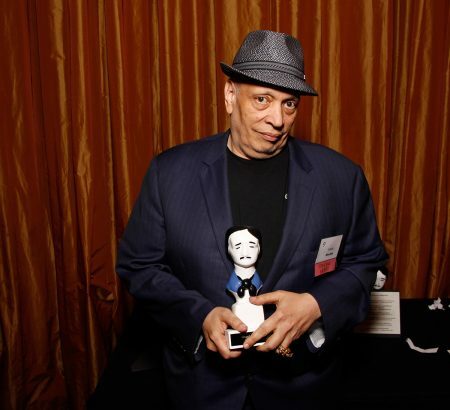 Author Walter Mosley has been chosen as the 2016 Grand Master by the Mystery Writers of America, and will receive the award at the 70th annual Edgar Awards Banquet in New York City on April 28, 2016. At the same time, two Raven Awards will be presented, to “mentor, teacher, scholar and editor” Margaret Kinsman and to Sisters in Crime, the group of women mystery writers initially convened by Sara Paretsky in 1986, and the Ellery Queen Award will be given to Janet A. Rudolph, director of Mystery Readers International, editor of the Mystery Readers Journal and teacher of mystery fiction. Crowded Kitchen Players’ production of Walter Mosley’s dark comedy “The Fall of Heaven,” which premieres in the Lehigh Valley Friday, will kick off the company’s series of plays designed to provide a forum on racial discrimination. 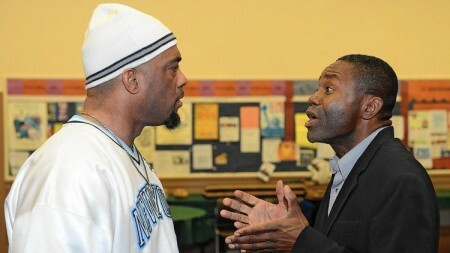 “The Fall of Heaven” is the first play in “Voices of Conscience: Toward Racial Understanding,” a joint effort by Crowded Kitchen, Selkie Theatre, Allentown Public Theatre, the Basement Poets and other arts organizations. Crowded Kitchen’s production is only the second of the morality play written by the well-known mystery author. It will be presented in Trinity Episcopal Church’s fellowship hall, 44 E. Market St. Bethlehem. In the story, based on Mosley’s 2008 book “Tempest Tales,” Tempest Landry (William Alexander Jr.) is a street-wise young black man living in Harlem, who is “accidentally” shot 17 times by police and finds himself at the pearly gates facing St. Peter (David “Oz” Oswald). When St. Peter tells him he is to go to hell, the quick-witted Tempest refuses to go and through a technical loophole is able to go back to earth, with a new identity and body. He also is accompanied by the accounting angel Joshua (Roy Shuler). In life, Tempest was no angel, but he was far from evil. Joshua is out to prove goodness prevails and the resulting battle of wills takes an intriguing look at good versus evil and what it means to be human. Director Ara Barlieb calls the play a “comedy of the human condition” and says it is very timely. 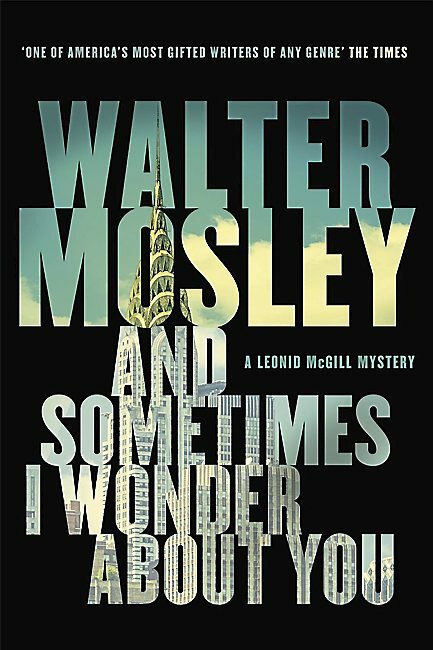 Mosley is the author of the acclaimed “Easy Rawlins” series of mysteries, the “Fearless Jones” series and the collection of short stories featuring “Socrates Fortlow,” “Always Outnumbered” and “Always Outgunned,” for which he received the Anisfield-Wolf Award. The cast also features Erica Baxter and Felicia White. The play is being stage managed by Brian McDermott. •”The Fall of Heaven” 8 p.m. Friday, Saturday and Nov. 13, 14; 3 p.m. Sunday and Nov. 15. Trinity Episcopal Church, 44. E. Market St., Bethlehem. Tickets: $18; $14, seniors; $10, students. Info: www.ckplayers.com, 610-395-7176.